Rev. Emmanuel Katongole, a University of Notre Dame associate professor of theology and peace studies, will spend a year studying three predominant forms of violence in sub-Saharan Africa after winning a major fellowship. Katongole was selected as a Henry Luce III Fellow in Theology for 2017–2018, one of six scholars selected from members of the Association of Theological Schools in the United States and Canada. Katongole will begin a yearlong study in January aimed at looking at ethnic, religious and ecological violence in African countries south of the Sahara. Katongole, a Catholic priest from Uganda, said the book project — “Who Are My People?” — is close to his heart because he’s eager to research the role Christianity plays in the violence. Katongole has two other books set to be released this year. “Born from Lament,” coming out this month, is a follow-up to his 2010 book, “The Sacrifice of Africa,” in which he wrote about initiatives to reduce violence. “Born from Lament” looks at people who are using faith to try to stop violence in Africa. “The Journey of Reconciliation,” set to be released in September, is a collection of essays in which Katongole argues that reconciliation is not merely a process. 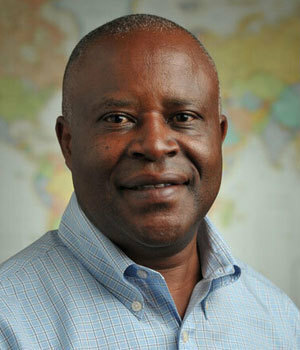 Katongole came to Notre Dame in January 2013 after 12 years at Duke University, where he was founding co-director of the Divinity School’s Center for Reconciliation. But at Notre Dame, Katongole has found his home. Being at a Catholic university where he can work with other scholars in the Department of Theology and the Kroc Institute for International Peace Studies is the perfect opportunity, he said. Originally published by Tom Coyne at news.nd.edu on April 11, 2017.